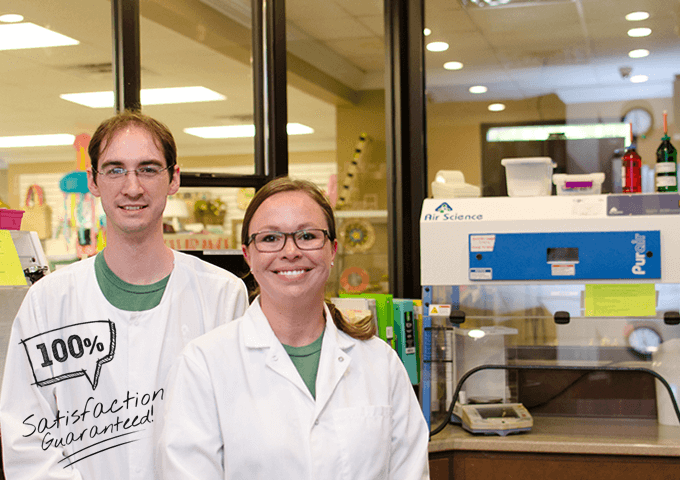 Forest Heights Pharmacy offers full-service innovative pharmaceutical compounding. Compounding is the creation of a patient specific pharmaceutical product designed to fit the unique needs of the patient. Compounding may also be used for other reasons, such as changing the form of the medication from a solid pill to a liquid, or to remove a non-essential ingredient for which the patient is allergic. It can also be done for more personal reasons, like changing flavors or textures of a medication. Whether you need hormone replacement therapy, have a pet with specialized medication needs, or have allergies to certain medications, our pharmacists can consult with you and create a custom compounded solution catered to your specific needs. Come see us for a complimentary consultation with one of our pharmacists, and let us help you with all of your medication needs. As your compounding pharmacy, we guarantee your satisfaction. Our team of pharmacists and compounding technicians are well trained and always willing to discuss any questions or concerns that you may have. If at any time you become dissatisfied or have an issue with your compound, please let us know. We will take every step possible to address and resolve the issue. Your health and well-being are of utmost importance to us. We strive to stay on top of technology improvements and medical advancements through continued education, so that we can provide the most advanced service and compounds to our customers. 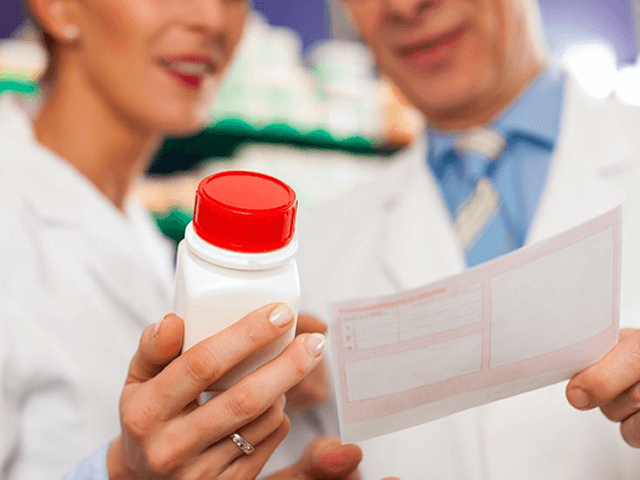 At Forest Heights Pharmacy, we are committed to providing our customers with the highest quality products available. Potency testing is anouther important process for us. 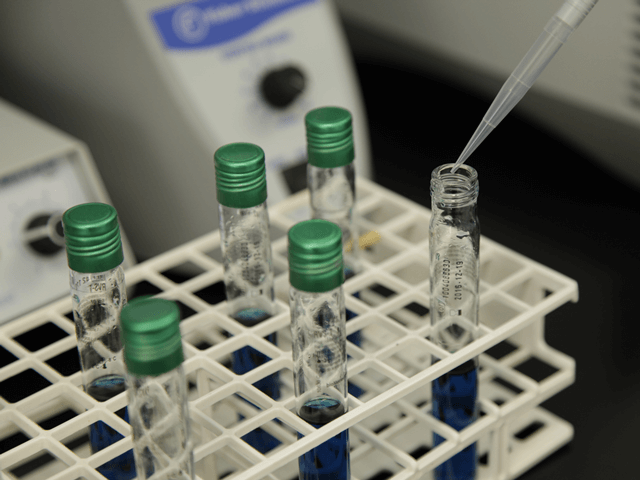 At random we will select a certain batch of a compound and send it to Eagle Analytical Services for potency testing. This process ensures us that we are dispensing exactly what we say we are. The ingredients and chemicals that are used in our lab are from the best manufacturers on the market. Quality is never compromised due to cost. Your health and safety are our #1 priority! A close relationship with your physician and his or her office staff is vital for the success of your treatment. We will communicate closely with your practitioner to ensure that they are receiving all the necessary information relevant to your treatment. Practitioners are encouraged to monitor your hormone levels through the appropriate labs a minimum of every six months. The labs will be forwarded to us where our pharmacist will evaluate them and determine if your dosage needs to be adjusted. We look forward to building a relationship with you and improving your quality of life. Thank you for giving us this opportunity and for trusting us with your compounded pharmaceutical needs. We are the height of service and convenience.